Print Campaign & Social Media – Our agency designed a complete branding campaign that included social media, print, and the integration of all these elements into a cohesive marketing communications package. By working with our agency, ‘ The Chadder ‘ defined their mission and accomplished it by working with one resource, our agency. 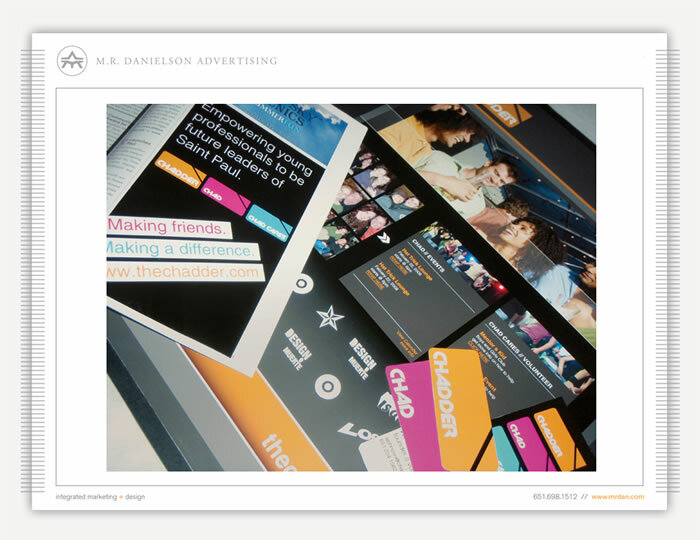 The unique selling point of our firm is that we can do the complete campaign in-house. The special talent is not seen by other agencies and with our integrated marketing and design services we dressed this company into an effective and exciting brand. The use of one resource allows for the success of the entire campaign and creates a great form of advertising dressed in continuity and uniformity. We also introduced a complete integration of all social media that allowed us to review the analytics and success of out campaign.